THE LASER HARP PAGES | What is a Laser Harp? What is a Laser Harp? A laser harp is an electronic musical user instrument. 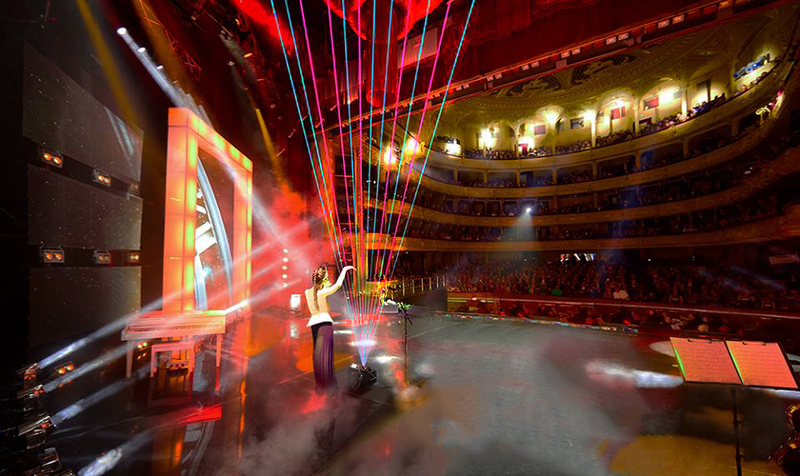 Several laser beams come from the machine on the ground, and a musician plays by touching them. Each beam is a note in the musical scale. The machine recognises the touched beam and sends a MIDI note command to a slave instrument or a computer. There are different technologies for recognizing the beam that has been touched. We'll see this next.